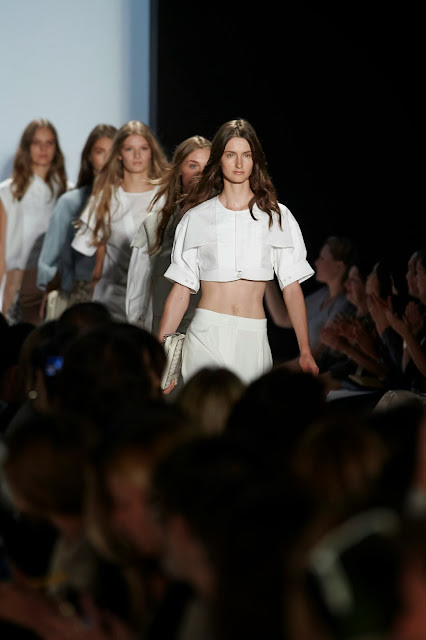 I present you the beauty that occurred inside the Lincoln Center during the BCBG S/S 2014 fashion show. As many of you already know, I am a sucker for prints and this season like every season BCBG delivers. Every season they come out with a couple of distinctive prints that are subdued and remain not too loud, which is perfect for office wear. Asymmetrical pieces were flowing on the runway, my eyes got stuck on this gorgeous skirt, the mix of python and white just look so posh and put-together. BCBG always balances flowyness and well structured pieces in their collections and they definitely delivered once again. The collection was very much based on black and white which is the ultimate fashion trend for the upcoming seasons with pops of prints, my fave ! At the end of the show, I had the pleasure of meeting the gorgeous Wendy, blogger behind Wendy's Lookbook and her boyfriend. They both were so genuine and nice as we chatted about the show, the blogging world and the boyfriends being our cameramen ! 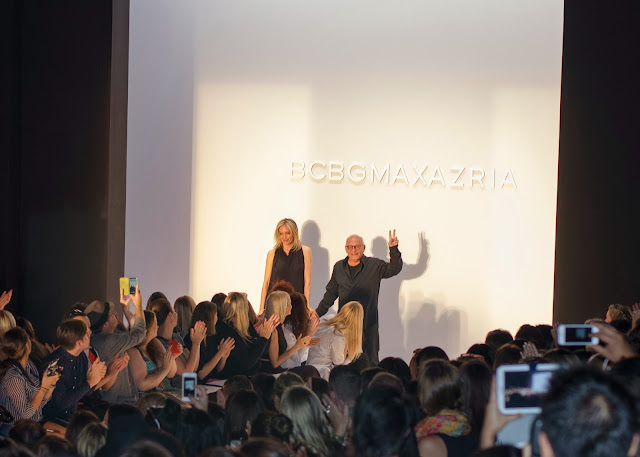 All in all, the BCBG S/S 2014 fashion show was incredible and seamless and I cannot wait for next spring for this collection to hit stores !